polish insomniac: PSA: Sephora Sun Safety Kit and 15% Cash Back at Ebates! PSA: Sephora Sun Safety Kit and 15% Cash Back at Ebates! It's here! 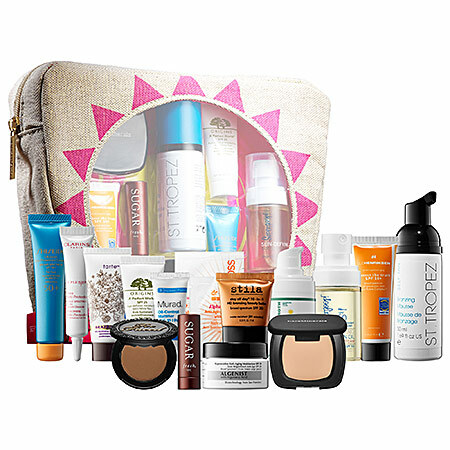 2014 Sephora Favorites Sun Safety Kit! I am a shopaholic. I know this. I get to use excuses like "I'm a blogger," "it's my job," and my husbands favorite, "I can write it off." And you know what? I blame Ebates. For some reason they sent me my big fat check early and I just had to find something to spend it on! And since I had ordered an entire year of contacts for my husband, I had a nice chunk of change! I also had two nice people use my referral link to sign up for Ebates... Thank you! So I obviously needed something to spend this money that was burning a hole in my PayPal account. That's when, as I was browsing Instagram, I saw Gotham Polish's post that the new 2014 Sephora Sun Safety Kit was out. FINALLY! I have been stalking the Sephora site for weeks. Currently it's only available to VIB Rouge members (boo!). Naturally, I am a VIB Rouge Member (remember, it's a disease, don't hold it against me!) so I that baby popped into my cart quick than you can say popsicle! (Don't ask me where I come up with this stuff). If you aren't a VIB Rouge Member, there is still a great reason to shop at Sephora. 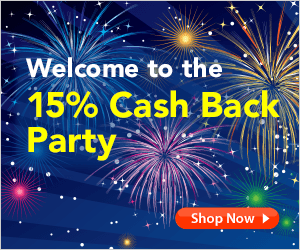 Right now, Ebates is celebrating their 15th Birthday with a 15% Cash Back Party from over 100 Stores, including Macy's, Sephora, JCPenney and many many more now through May 19th! Check out the rest of the stores participating the Cash Back Party here. And don't forget to use my referral link. Pretty please? You're not feeding an addict. You are showering her with love! And if you do head over to Sephora's site, don't forget to see all of their current promo codes.